The Rio Siesta Motel in Clinton, Oklahoma, like so many along Route 66, fell on hard times. 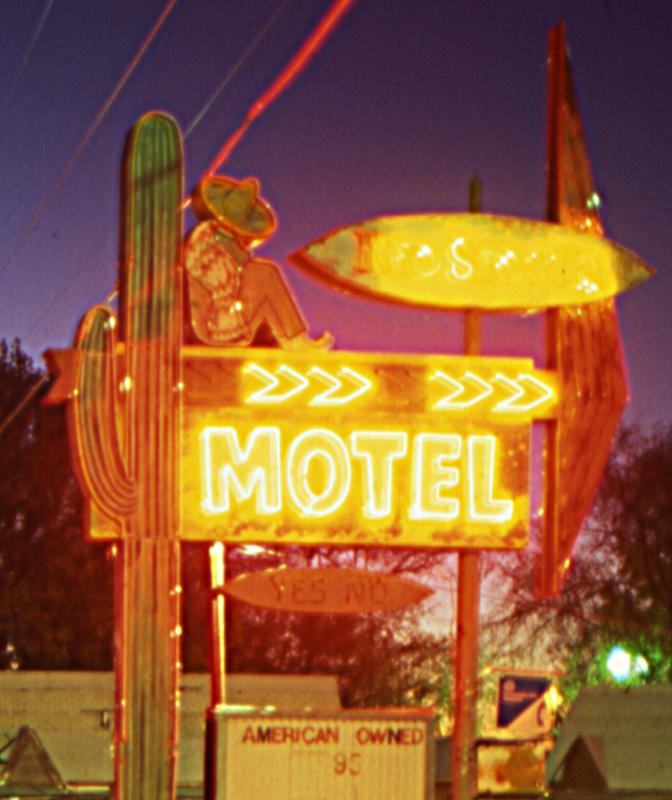 The motel was once known as the Rio Courts. 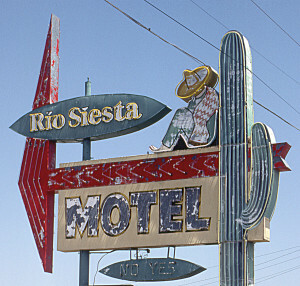 In the early 1960s, the courts expanded, the name was changed to the Rio Siesta and at some point the sign was erected. 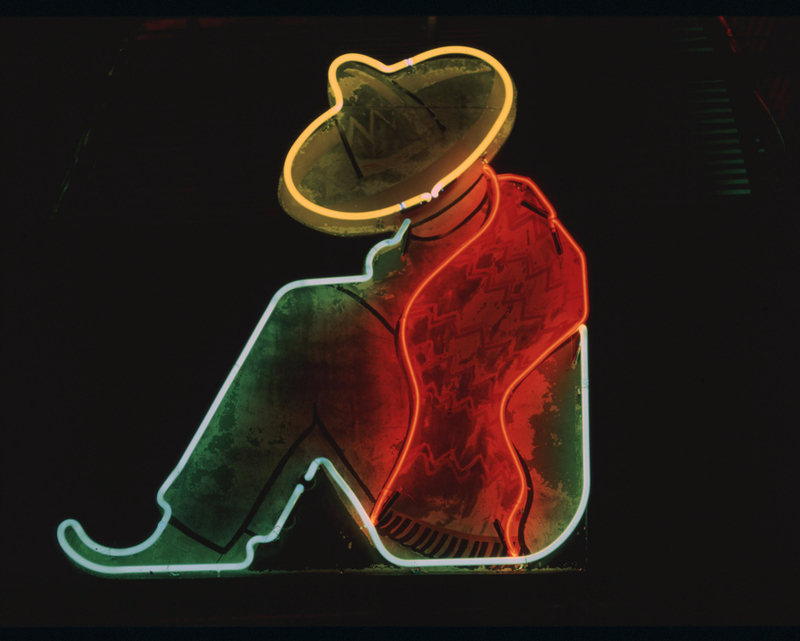 The best-looking image we have is from Jerry McClanahan and dates to 1983. Even back then the elements were already taking their toll. At a later date, the stereotypical peasant was sold off to a local real estate agent who in turn sold it to a collector in New York. In 2007, the property owners tried to sell the sign locally, asking a $1,000.00. 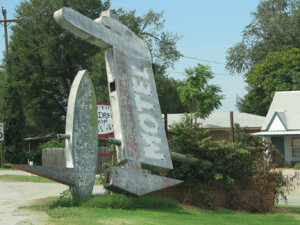 Then later in the year, a storm came through, knocking the sign over. Given how big and solid the sign is, it must have been quite a storm! The owners finally had enough and were ready to get rid of it. The Oklahoma Route 66 Association, in particular through the determined efforts of Carol Duncan and Don Mullenix, rescued it from a trash pile. It found its way to Elk City, where Don stored it, hoping the Association would be able to raise enough money to restore it. Although some funds were raised, the amount simply wasn’t enough. Our President, Kathy Anderson, is also a member of the OK. Route 66 Association and was well aware of the sign and its stalled situation. Once our Billboard Museum Association had storage space, we contacted the 66 organization about the sign becoming a part of our collection. As a result, they have donated the sign and the funds they had raised to date. On September 25, 2014 Jim Ross, Jerry McClanahan and Justin Booher (Justin is a member of our Association’s Board) drove to Elk City to retrieve the remains of the Rio Siesta sign. Don and Carol helped on the Elk City end while Jim Gleason of our Board helped offload on the OKC end. The auto trailer was loaned to us by John Hargrove of Arcadia. 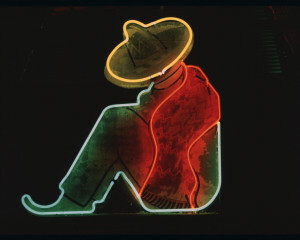 We’ve calculated we are going to need nearly $19,000.00 to restore just one side of the sign, including the fabrication of a replacement napping Mexican. Materials estimate is about $7,000.00, with labor making up the rest of the cost. If you are interested in making a donation toward the restoration of the sign, please donate! 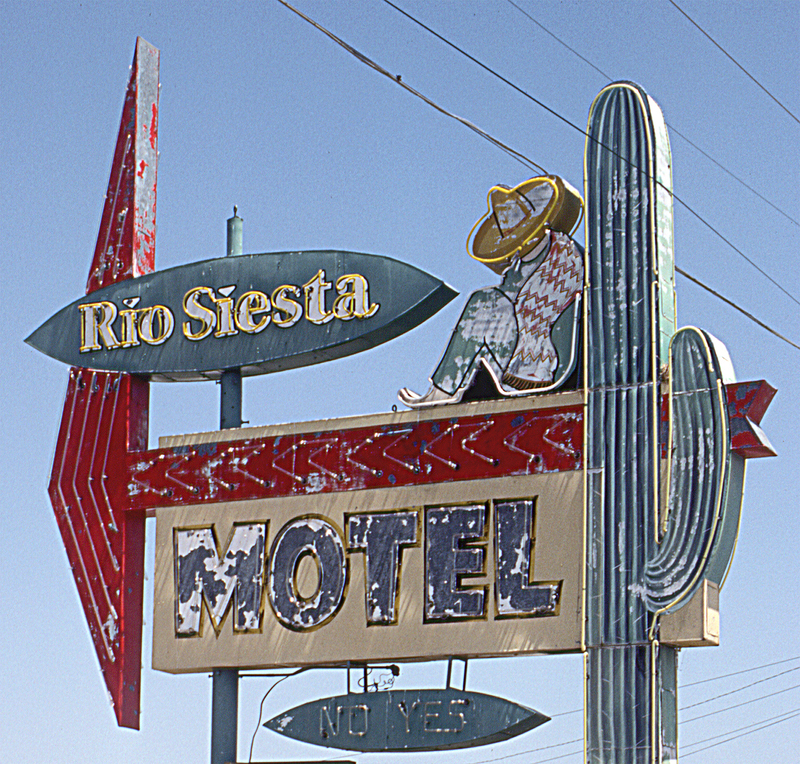 Help us Restore the Rio Siesta Sign.